During World War II (between 1941 and 1943) eight large Flak towers (German: Flaktürme) were built across Nazi Germany and Austria: three in Berlin, two in Hamburg, and three in Vienna. Originally they were built to defend the cities against air strikes. The towers were often a combination of air raid shelter and gun turret. Often several heavy antiaircraft guns were placed on the corners of these towers, meant to bring incoming bombers down before they reach the city center. Some of these large, above-ground, anti-aircraft gun blockhouse towers have been demolished after the end of the Second World War. Some Flak Towers are however still standing, some of these huge concrete structures can even be visited. In Berlin, actually the first three of these eight Flak Towers were build: Flakturm I was located right in the center of West-Berlin at Tiergarten, near the Zoo – and it was also referred to as the ‘Zoobunker’ or also “Gustav”. It was demolished in 1948. The second Flak Tower (Flakturm II) was located at Volkspark Friedrichshain. In 1946 it was partly demolished and then covered with debris and soil. 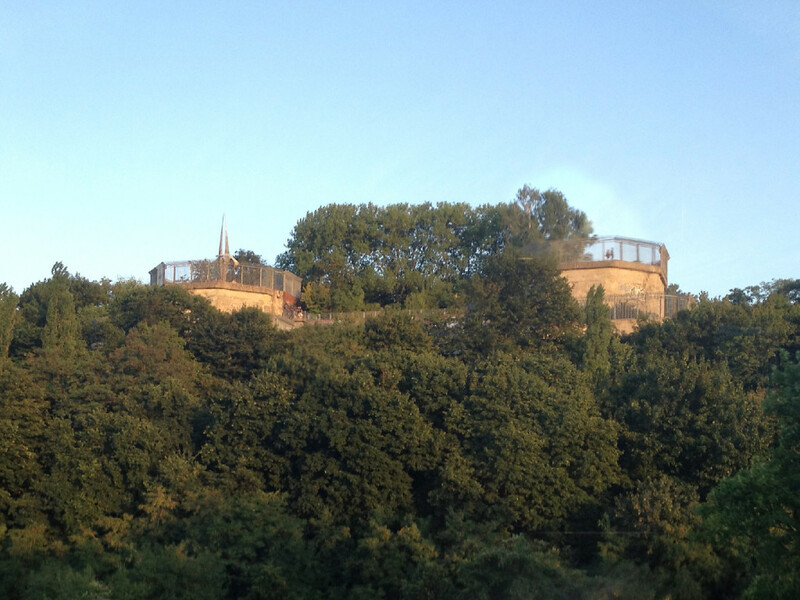 Today you can climb the hill in Volkspark Friedrichshain – as far as I know the observation platform is actually a part of that Flak Tower buried underneath the hill. Also the third Flak Tower was only party demolished. A large part of the tower is still standing and can be visited. The tower is located at the Volkspark Humboldthain in Berlin-Gesundbrunnen (Wedding), near Brunnenstraße. You can either climb the above-ground part of the tower on your own (yes, there’s a path and stairs) or check with Berlin’s underground society for guided underground tours for a tour to visit the underground part of the tower through their website www.berliner-unterwelten.de.